Brad and Leslee Beach became friends in junior high school in Clute Texas. They were great friends from the day they met. They both graduated from Brazoswood High School in 2001. Shortly after high school, they started dating and both enrolled at Texas State University. In 2006, they got married and graduated from college. Brad graduated with a Bachelor of Science in Agriculture and Leslee in Business Management. In 2008, they moved to Hallettsville Texas where Leslee managed a large credit union and Brad started All Out Ranch Improvements. As the business grew, Leslee resigned from her position at the credit union to help manage All Out Ranch with Brad. Together, they strive to offer a high quality service to their clients. They do everything from house cleaning to ranch management/improvements to hog trapping. They are very passionate about taking care of the clients needs and have formed many life long relationship along the way. 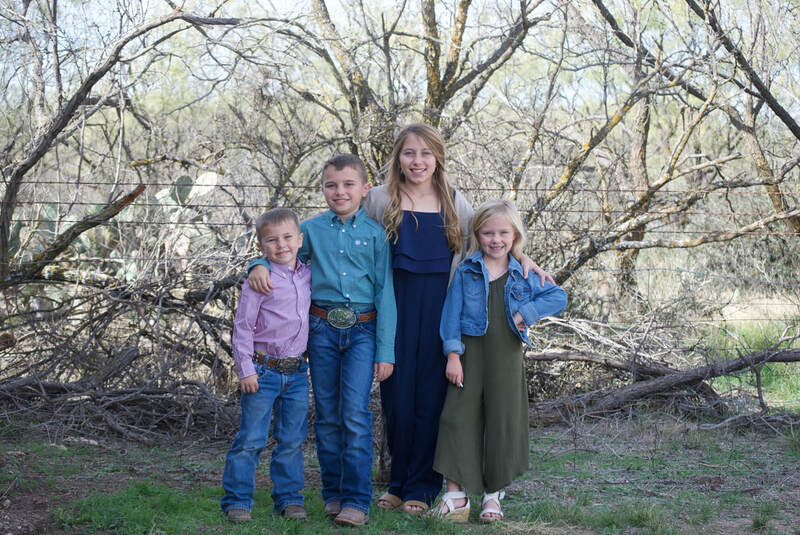 ​Together they have 4 beautiful children: Avery (10), Tatum(8), Emma(6), and Eli(4). As a family they enjoys hunting, fishing and riding horses.